The relationship between a tenant and a landlord is a very delicate one. If the tenant fails to pay the rent on time or cause any kind of damage to the property then he will face eviction while if the landlord does anything to violate the tenancy agreement then he will have to prepare for a tenant lawsuit. A tenant lawsuit can prove to be very taxing on the landlord and can ultimately cost him a good deal of money. Therefore, it is in your best interest to avoid the chances of a tenant lawsuit. 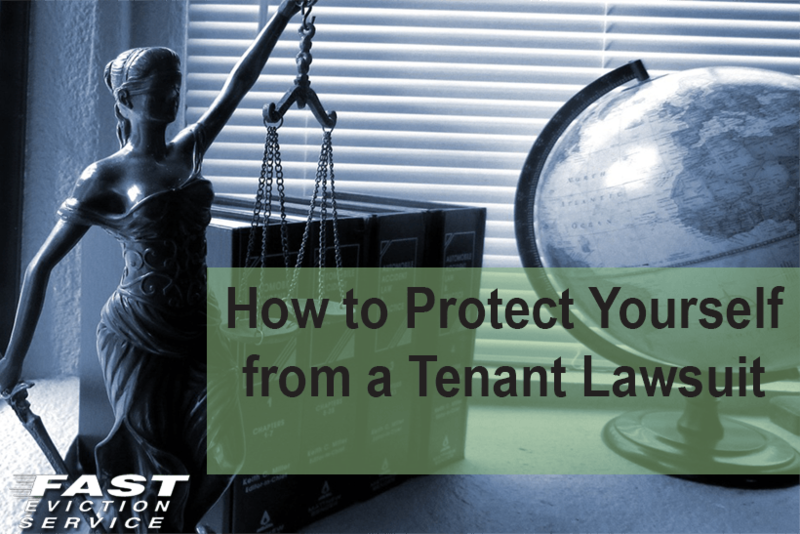 The following are some of the measures that can be taken by landlords to protect themselves from a tenant lawsuit. The importance of a tenancy agreement that is in line with all California State laws cannot be overstated. You must make sure that the rental contract you are providing the tenant includes all the regulations and clauses required by your state. The rental contract you and your tenant are agreeing upon must clearly specify the rights and responsibilities of both parties. Make sure that there is no doubt in the mind of the tenant regarding his obligations to the property when signing the tenancy agreement. It is extremely important that you screen your tenants before renting them your property. Vet new tenants thoroughly to make sure that you are not allowing someone with a criminal record to live in your premises. Such a tenant can endanger the lives of your other tenants and might cause them to file a tenant lawsuit against you. The threat of a tenant lawsuit will hang over your head unless you take the necessary steps to keep your property in a good condition. Try to solve the tenant complaints quickly or it might become a cause for a tenant lawsuit. Providing a safe living environment to your tenants is your responsibility as a landlord. Therefore, it is important that you ensure the safety of your rental property by any means necessary. When trying to evict a bad tenant, make sure to follow the proper eviction procedure. If you fail to comply with this procedure then the tenant will have the right to file a tenant lawsuit against you. Landlords who follow these steps will do much to reduce the chances of a tenant lawsuit that can be very expensive both emotionally and financially and can mean the difference between success or failure as a landlord.